My first two picks in this Outsiders Marathon focused on guys who had become outsiders from unfortunate external forces like drug addiction and an abusive family member. This week, I'm looking at exile on a different scale where a country's government is trying to silence a vocal critic. The Iranian leaders aren't willing to let a filmmaker speak out against their actions, and they're willing to ban a director for going after them. 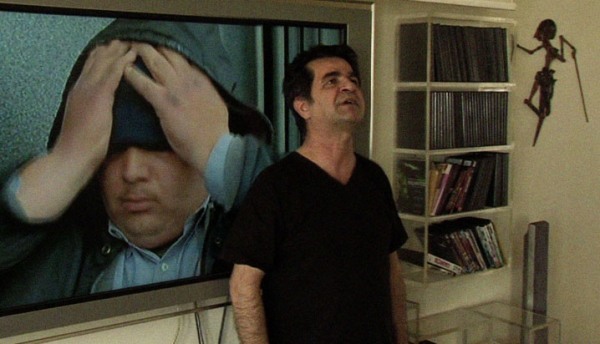 Although he's released on bail, Jafar Panahi is basically trapped in his apartment and isn't allowed to have any contact with the film world. They're trying to suppress an artist and treat him like an enemy of the state. The fact that he even made a film under these rough circumstances is remarkable, which makes This Is Not a Film a perfect choice for this marathon. Panahi received a 20-year ban from making films and even talking to the foreign press because he supported the opposition party in the 2009 election. He also was sentenced to six years in prison. While his case is being appealed, he sits at home and tries to stay engaged. 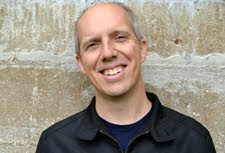 He talks to his lawyer about his case, feeds his pet iguana, and analyzes the connections between films and his situation. His friend Motjtaba Mirtahmasb shot this movie covertly and frequently used an iPhone. They smuggled the movie out of Iran in a USB drive inside a cake. It took some serious and dangerous moves to make this happen. Looking like he's just stepped out of bed throughout the film, Panahi is facing an enemy with much greater power. His only weapon is the arts, where he can present his message to the world. Most of this story is just a guy talking to the camera, which may not seem very interesting. However, this spare approach works for the story and makes us realize what Panahi is facing. He even tries to direct Mirtahmasb in this movie and just can't help himself. Film making is in his blood, which is clear when he excitedly presents his ideas for his next screenplay. He's trying to keep himself sane by obsessively planning the movie even though his chances of actually making it are virtually nonexistent. Beyond the government, Panahi is combating the idea that artists can be censored for disagreeing with leaders in power. There are many examples in this country's past where the government made sure that its critics were silenced. Our current climate is divisive and creates a culture where people attack their friends because of their political views. Although the U.S. likely isn't going to charge a filmmaker today for backing the wrong party, it's hardly an ideal environment for honest discussions. It's clear that Panahi just wants to make movies, but his passion has been killed because he spoke up about certain issues. The fact that he's able to maintain his composure within this setting is pretty remarkable. This Is Not a Film is a challenge to review because it’s such a difficult real-life story. It works better on an intellectual level than a visceral manner, but that’s hardly the fault of Mirtahmasb and Panahi. Watching his attempts to focus on anything but his predicament matches how many of us would react. In another moment, he gets overcome with emotion and decides to leave the discussion. The camera stays on the door for a long time and reminds us of the stakes of this trial. There’s little artifice or unnecessary moves from the directors, and this approach maintains the focus on Panahi. We live in every corner of his apartment, and the result is an intriguing experience. The directors are going for high stakes and are just trying to get their story heard. 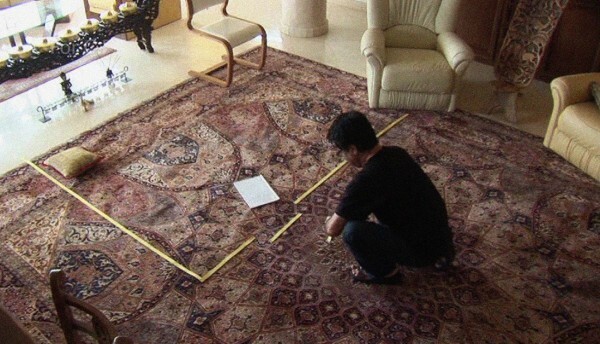 Panahi sits on his couch in silence and tries to stay focused on his work, but that's basically impossible. They're showing us that humanity still has a long way to go before we accept honest dissent. Iran is just one location where a situation like this one could occur. Thankfully, they keep the tone fairly light through much of the film. 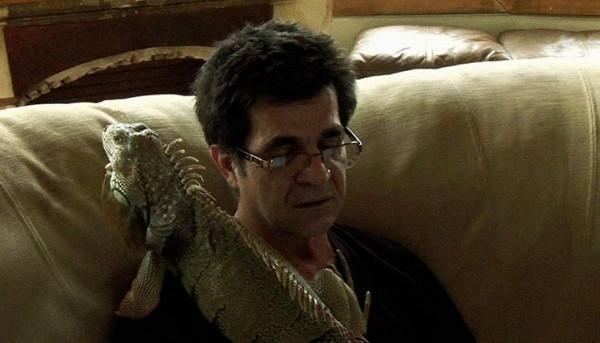 The iguana plays a key role in the silliness and even climbs on Panahi for good measure. It moves slowly, but this remains a memorable piece of film that will be hard to duplicate in the future. Next week, I'll close the marathon by meeting Joseph Gordon-Levitt in Hesher. To me, feels like an episode of reality tv. I don't know if there was enough material here to justify a film. The way the film is told, seems more important than the content. I did empathize with him(difficult not to), which I guess was the point, to illuminate the censorship issue in Iran. Chris, you bring up the challenge when analyzing this movie. Does it work as a film beyond the interest in Panahi's story? I'm still not sure that I have a definite opinion on this question. I feel like it's an interesting experiment, and the title says it all. However, I can't argue too strongly against your reaction. I'll be interested to hear what you think. A lot of film critics adored it, but I do feel like it may leave some feeling underwhelmed. It's an intriguing story regardless. Yes it is. This was one of my shorter posts, and even that wasn't easy to write. Looking forward to reading it!